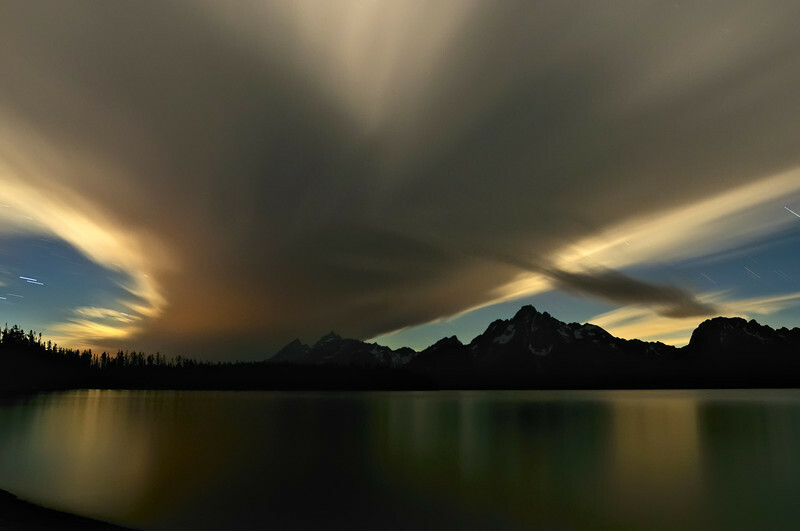 I felt like sharing something special today so I pulled out another from my Jackson Lake series at Grand Teton National Park (see comments for earlier entries in this series). This is a long time exposure of a thunderstorm rolling in over Jackson Lake with the moon and lightning providing a backlight for the clouds. Thanks for all the good thoughts, and let me just say appreciate every minute you get with those you love. Today I want to dedicate this one to my grandfather who is recovering from a heart attack at near 92 and has been moved to hospice yesterday. Wishing you peace Gerald, you are an inspiration for how to live life right.